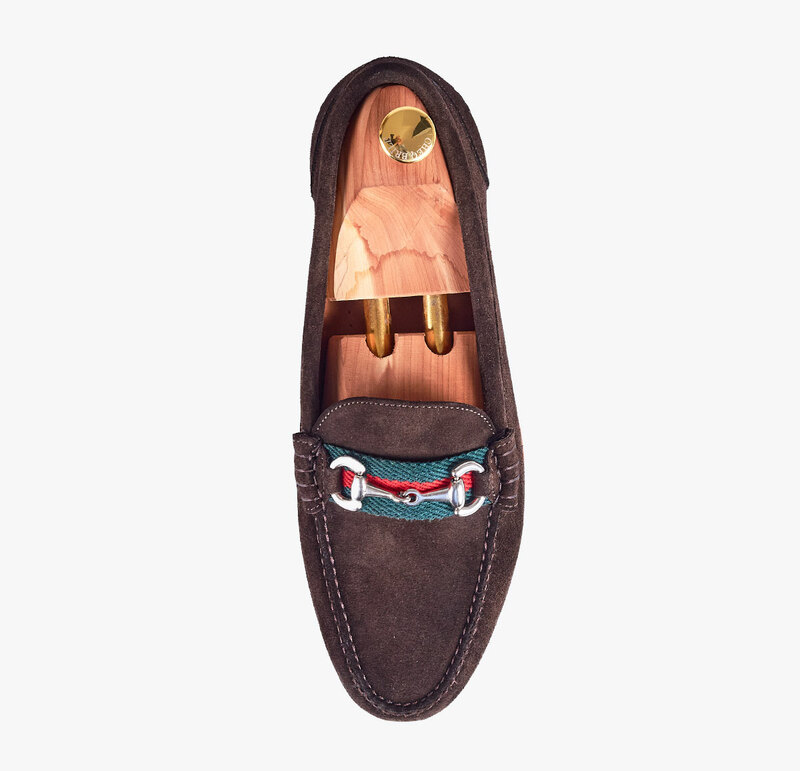 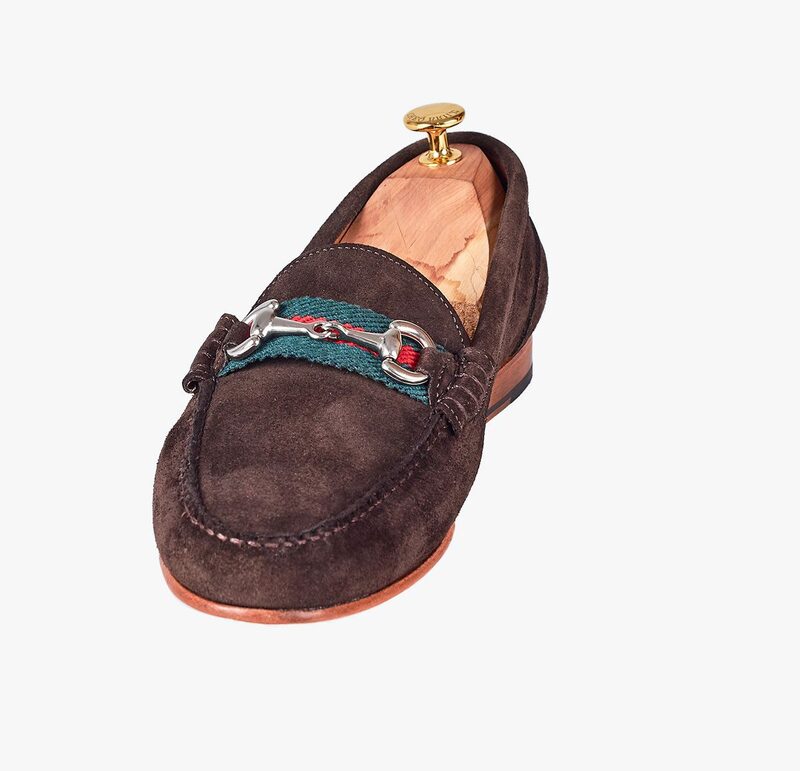 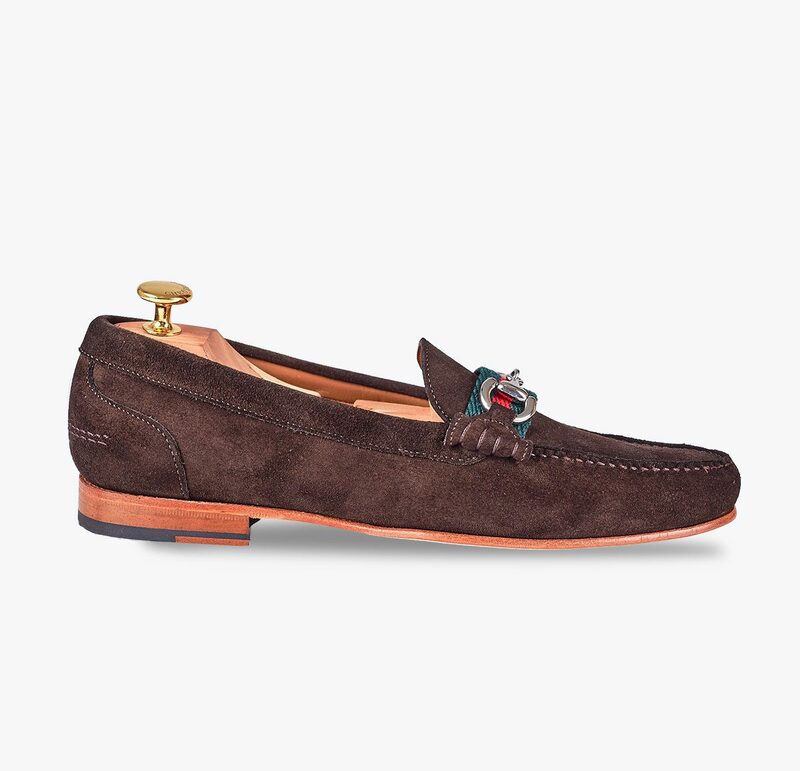 Stylish moccasin, slipper-style, with metal detail in brown suede. 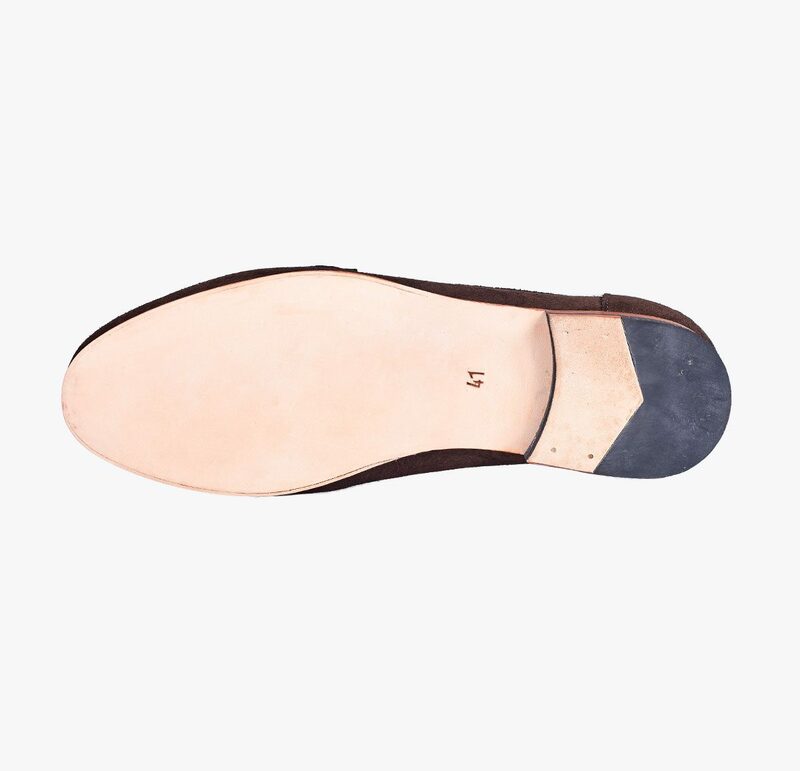 Finished with a leather sole and red bovine lining. 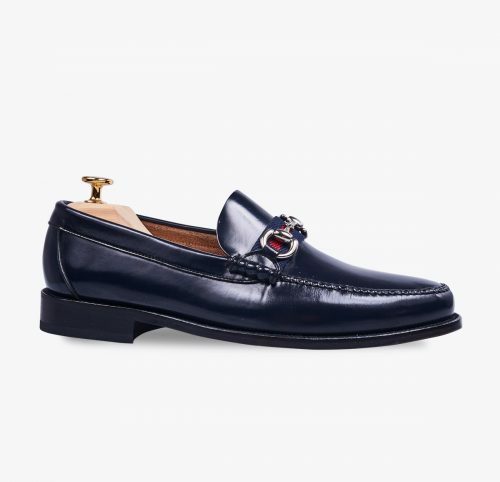 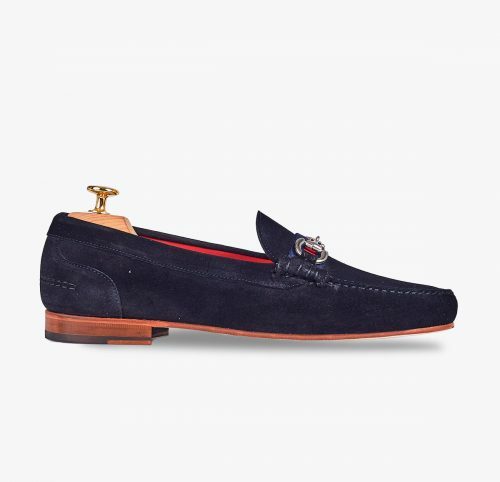 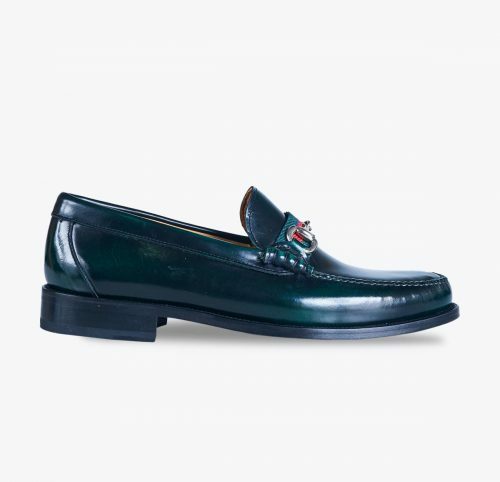 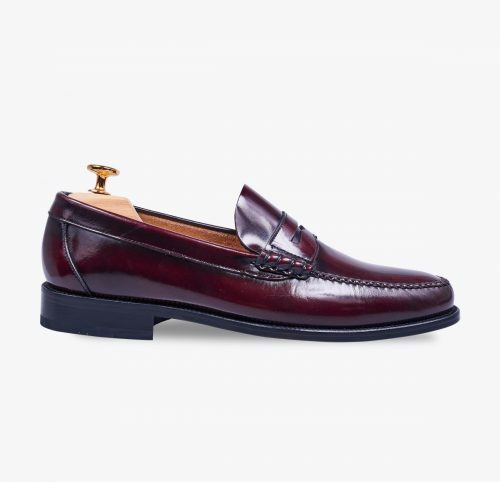 The perfect shoe for a contemporary and elegant style.